Infertility is something that affects countless couples each year. In fact, the data available to us has indicated that roughly 50 million couples worldwide experience fertility issues. (1) Not only is that number concerning, but it can be absolutely heartbreaking for couples trying to conceive. 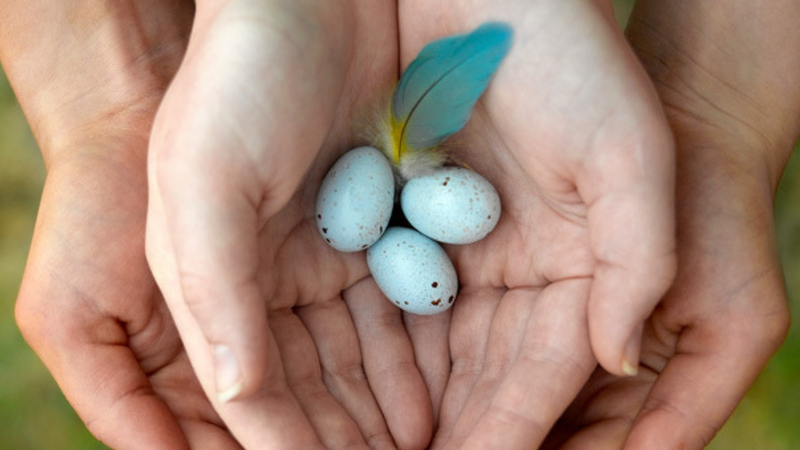 Knowing this information, it is important to take the steps necessary to support optimal fertility as best as we possibly can, and Traditional Chinese Medicine can certainly help support egg quality and fertility health. The ovaries have two main functions. For one, they are responsible for producing an egg each month that is made available for fertilization during ovulation. The ovaries also deliver both estrogen and progesterone hormones both of which are important for conceiving, but also for supporting a healthy pregnancy. When it comes to the ovaries, having any type of issue with ovulation can cause fertility issues as can suffering from conditions like PCOS or even endometriosis. Another important factor when it comes to a woman’s ability to conceive has to do with healthy eggs. Since a big cause of infertility is due to be poor egg quality, incorporating some Traditional Chinese Medicine techniques to improve egg quality may greatly improve your odds of conception. This should be one of the first steps taken in a plan to getting pregnant. So, why is egg quality so important? For one, women do not have an unlimited amount of quality eggs available, and as a woman ages, the quality of her eggs may decrease. How healthy your eggs are will also determine if fertilization and implantation can occur. Egg health also plays a role in how viable a pregnancy is. Traditional Chinese Medicine can greatly improve fertility. TCM looks at certain underlying causes of infertility such as kidney energy deficiency as well as the health of the liver and the spleen. Traditional Chinese Medicine considers the kidneys the foundation for all of the body’s yin and yang energies. Jing Qi is considered to be energy stored in the kidneys and a decline in this energy happens to occur as we age. Fertility can also decline as we age but other factors can lead to kidney energy deficiency and the inability to conceive as well. These include things like chronic stress, poor eating habits, as well as taking certain medications. Did you know the liver and the spleen also play a role in fertility? TCM looks at health as a balancing act between the various systems in the body. The four organs that play a role in fertility health include the kidneys, spleen, heart, and liver. When there is an imbalance in any of these organs, infertility can occur. Traditional Chinese Medicine can significantly help improve the quality of eggs as well as overall fertility health by helping the body rebalance itself to support the four organ systems that are linked to fertility. Treatments like acupuncture can help reduce stress and bring balance to different areas in the body by supporting optimal blood flow. Diet and lifestyle are also huge components of TCM and rebalancing the body. Addressing any type of nutritional deficiency is also important and yin and yang foods also play a role. Yang foods are warming while yin foods are cooling and calming. Balancing your yin and yang foods depending on the time of year can be beneficial. Yang foods are generally enjoyed during the colder months to balance the body while Yin foods are generally enjoyed during the hotter months. It’s all about bringing balance to the body. On top of dietary and lifestyle adjustments, there are some excellent natural products that can improve your chances of conception. Boost and enhance your reproductive system with Woman’s Life Power. This natural female fertility remedy kick starts female hormone production and helps raise your energy levels. Increase your reproductive chances by improving your blood circulation with this expert mix of natural herbal ingredients. 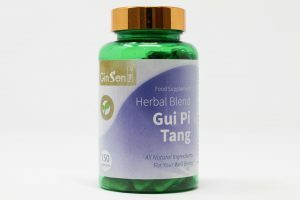 Help regulate your hormones with this natural conception aid, Nuan Gong Yun Zi Tang. This mix of natural herbal ingredients promotes reproductive organ health, supports lower abdominal cramping before and during menstruation and supports natural conception. All the mentioned products can be purchased on Amazon, our eBay Store and Website. Rare to find a good quality blog on Chinese Medicine. Keep posing I am loving reading it. post is just great and that i can think you are knowledgeable on this subject.